Have you heard the news? The ACA has been postponed! Because of the delay, employers will not need to meet these requirements for 2014. The government stated in the delay announcements that the exchanges are still expected to begin open enrollment on Oct. 1, 2013. It is unclear at this point how the delay of the play or pay requirement will affect determination of employee eligibility for subsidies. Presumably the official guidance that Treasury has promised to provide next week will address this issue. If you have questions about how this will impact you, never hesitate to contact us. Less than 50 Employees – Does Health Care Reform apply to me?? As always, confused? Have questions? Not sure what applies? Call your Health Care Reform Experts at 916-932-2357. Exchange Model Notices – EMPLOYER ACTION REQUIRED! On May 8, the U.S. Department of Labor issued employer notices regarding the Health Insurance Exchanges (Marketplaces). In a nutshell, employers have until October 1, 2013 to decide whether they will offer or not offer insurance coverage to their employees. Below are links to two forms: one for employers offering coverage and those which will not. The notice text must be used and there are penalties for not distributing them by October 1, 2013, the date open enrollment in the exchanges is set to begin. Please contact us if you have any questions, we’re happy to assist! Sacramento, Calif. — The Covered California Board has approved Irvine-based Pinnacle Claims Management, Inc. (PCMI) to administer its Small Business Health Options Program (SHOP). The program will offer approximately 375,000 California small businesses unprecedented access to a considerable array of affordable health coverage options for its employees. California is one of a few states nationally that will be able to offer small businesses an array of health insurance options for their employees come this fall. This contract is supported by federal funds provided under the Affordable Care Act, and continued funding will be provided by Covered California administrative revenue starting in 2015. Small employers participating in the SHOP will be able to provide their employees with a broader choice of health plans that generally has only been available to large employers. Certain small businesses — those with 25 or fewer full-time equivalent employees paid an average annual wage of less than $50,000 — may be eligible to receive a 50 percent small business health care tax credit for coverage purchased through the SHOP. Through SHOP, employers will be able to pick the level of support for their employees, and in turn employees will be able to pick from those options the specific health plan that is right for them and their families. All plans will provide a standardized set of benefits and cost sharing to make it easy for employers and employees alike to make apples-to-apples comparisons. PCMI and its affiliates have more than 15 years of experience providing employer- sponsored health benefit management services, with a current client base of some 800 small employer groups in California and Arizona. The contract with PCMI will cost an estimated $50 million over the three year term and includes the initial implementation of the program’s administration functions and ongoing operating costs. PCMI will provide eligibility, enrollment, marketing and fulfillment services, as well as agent and general agent sales management, financial management and the small business call center services. “PCMI is thrilled to work with Covered California on this endeavor and to be part of this historic change in health care. We are looking forward to helping Covered California provide the services that will support employers and their employees as they enroll in the health plans offered through Covered California,” said David Zanze, President of PCMI. Covered California will provide for health plan selection, certification and ongoing management of plan relationships, lead marketing efforts and provide policy guidance. California was the first state to create a health benefit exchange following the passage of federal health care reform. Covered California is charged with creating a new insurance marketplace in which individuals and small businesses can get access to health insurance. With coverage starting in 2014, Covered California will help individuals compare and choose a health plan that works best for their health needs and budget. Financial help will be available from the federal government to help lower costs for people who qualify on a sliding scale. Small businesses will be able to purchase competitively priced health plans and offer their employees the ability to choose from an array of plans and may qualify for federal tax credits. Covered California is an independent part of the state government whose only job is to make the new market work for California’s consumers, and is overseen by a five-member board appointed by the Governor and Legislature. 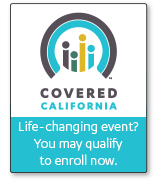 For more information on Covered California, please visit www.CoveredCA.com. Press Release: For the 5th consecutive year, Innovative Broker Services is in the Top 25 and this year breaks the Top 20 as the 19th largest commercial insurance broker by Sacramento Business Journal. Anyone, Anyone…Small Business Tax Credits?? For tax years 2010 through 2013, the maximum credit is 35 percent for small business employers and 25 percent for small tax-exempt employers such as charities. An enhanced version of the credit will be effective beginning Jan. 1, 2014. Additional information about the enhanced version will be added to IRS.gov as it becomes available. In general, on Jan. 1, 2014, the rate will increase to 50 percent and 35 percent, respectively. Here’s what this means for you. If you pay $50,000 a year toward workers’ health care premiums – and if you qualify for a 15 percent credit, you save … $7,500. If you save $7,500 a year from tax year 2010 through 2013, that’s total savings of $30,000. If, in 2014, you qualify for a slightly larger credit, say 20 percent, your savings go from $7,500 a year to $12,000 a year. Even if you are a small business employer who did not owe tax during the year, you can carry the credit back or forward to other tax years. Also, since the amount of the health insurance premium payments are more than the total credit, eligible small businesses can still claim a business expense deduction for the premiums in excess of the credit. That’s both a credit and a deduction for employee premium payments. Now that you know how the credit can make a difference for your business, let’s determine if you can claim it. To be eligible, you must cover at least 50 percent of the cost of single (not family) health care coverage for each of your employees. You must also have fewer than 25 full-time equivalent employees (FTEs). Those employees must have average wages of less than $50,000 a year. Let us break it down for you even more. You are probably wondering: what IS a full-time equivalent employee. Basically, two half-time workers count as one full-timer. Here is an example, 20 half-time employees are equivalent to 10 full-time workers. That makes the number of FTEs 10 not 20. Now let’s talk about average wages. Say you pay total wages of $200,000 and have 10 FTEs. To figure average wages you divide $200,000 by 10 – the number of FTEs – and the result is your average wage. The average wage would be $20,000. Also, the amount of the credit you receive works on a sliding scale. The smaller the business or charity, the bigger the credit. So if you have more than 10 FTEs or if the average wage is more than $25,000, the amount of the credit you receive will be less. If you need assistance determining if your small business or tax exempt organization qualifies for the credit, try this step-by-step guide. If you are a tax-exempt organization, include the amount on line 44f of the Form 990-T, Exempt Organization Business Income Tax Return. You must file the Form 990-T in order to claim the credit, even if you don’t ordinarily do so. Don’t forget … if you are a small business employer you may be able to carry the credit back or forward. And if you are a tax-exempt employer, you may be eligible for a refundable credit. Still have questions? Give us a call at 916-932-2357 – anytime!